We will have screen printers, intaglio printers, risographs, linocuts, gocco prints, textiles, digital, monoprint, and much more..
As previously we will also have four print demonstrations happening during the day, and we'll publish a list of the the timetable for this a little nearer the time. 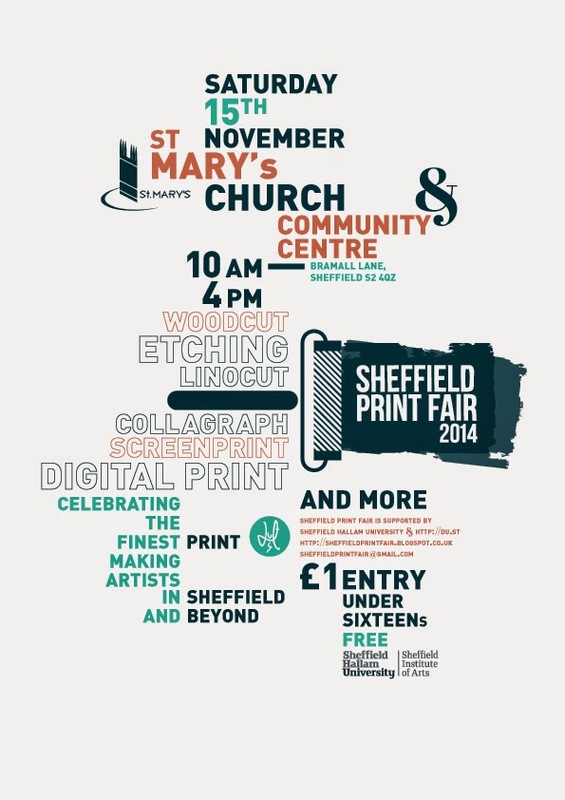 There will also be some information on-site about Sheffield Print Club, for those interested in learning about screen-printing. It starts at 10am and finishes at 4pm. Entry is £1 and there is no charge for under sixteens. Food and drinks are also available from the on-site cafe. The flyers and posters were designed by Sheffield design agency Dust, and once again we think they've done us proud!